In it, an all-American family are terrorised by jumpsuit wearing doppelgangers (“The Tethered”), wielding oversized golden scissors. Nyong’o explains: “It’s really about befriending the darkness in all of us and being patient enough to coax it out to make use of it. 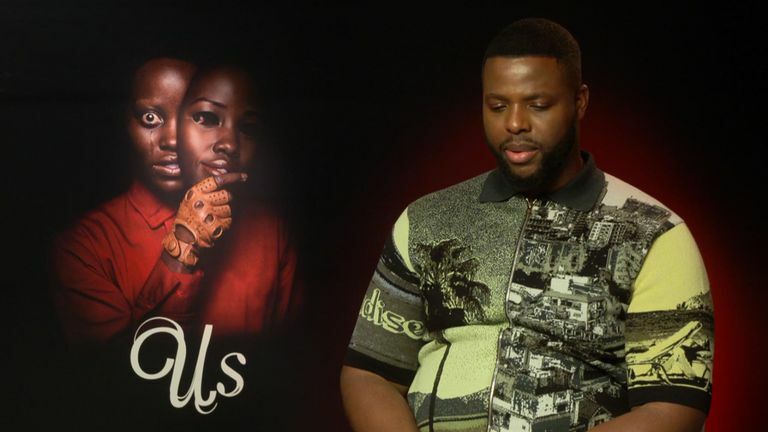 Her co-star Winston Duke agrees the movie’s about those living the good life and those on the other side of the dream. While there’s no explicit linking to Peele’s earlier films, the “Sunken Place” – the otherworld where victims become trapped in when their bodies are taken over in Get Out – “The Tethered” live in a similar psychological limbo world, but this time a brightly lit one set in a building full of rabbits. But, Duke says Peele is raising another big issue – and this time it’s about the genre itself. 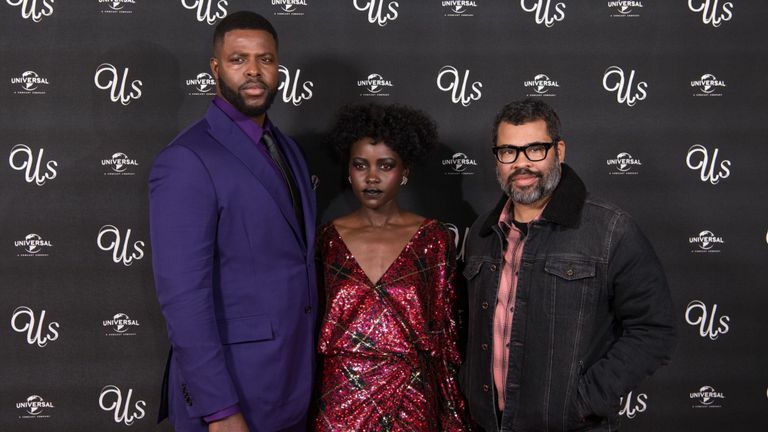 Peele has gone out of his way to explain the film’s not about race, blaming the industry’s very lack of diversity for making it almost impossible for the audience to see past skin colour when an African-American family lead the action. For Duke, who gets the lion’s share of the funny lines, it’s about the genre serving the story – with both comedy and horror allowing for taboos to be broken and providing a sense of release. He explains: “In moments of extremes you really get to see what doesn’t serve you. The isms don’t work for you, the patriarchy doesn’t work for you when you need to be an ally just to survive. While comedy was a keystone of Duke’s portrayal as affable dad Gabe, Nyong’o had precious little light relief to fall back on in her roles. Nyong’o created a broken voice for Red which was based on the real-life vocal condition spasmodic dysphonia. 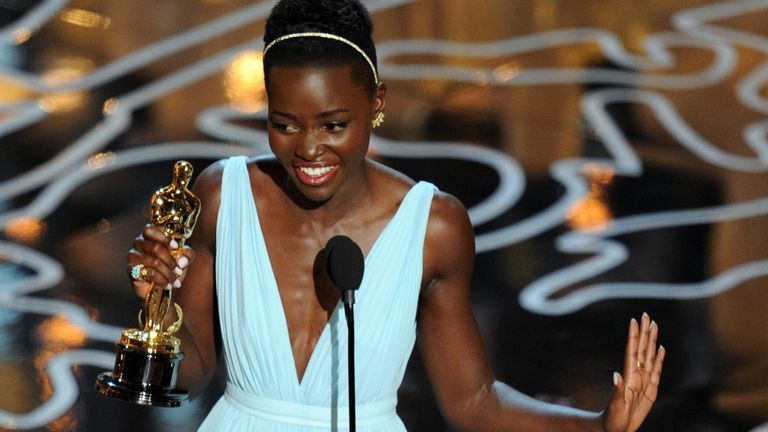 Both actors agree working with Peele was “a joy”, with Nyong’o crediting the director with helping her “grow exponentially as an artist because of his directing”. Nyong’o explains that for her Us “was a darker world”, but Duke sees a parallel with the Marvel Comic universe.